This year is the 150th anniversary of the end of the American Civil War (1861-1865) and one of the participants, a William Joyce Sewell was born in Castlebar and went on to have a distinguished career in both the military and in politics. Born in 1835, Sewell emigrated to the US when he was sixteen where he worked in the merchant industry before settling in Camden, New Jersey. At the start of the Civil War, he was commissioned as a Captain in the Union Army (5th New Jersey Infantry) and fought in numerous battles including at Chancellorsville where he took command and led his regiment against three heavy Confederate attacks. He then led his brigade in counter attacks, capturing eight colours and a thousand prisoners. 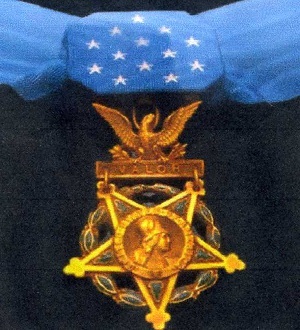 He was wounded in battle and for his gallantry was awarded the Medal of Honor, America's highest military honour, awarded for personal acts of valour above and beyond the call of duty. Brigadier-General Sewell as he was at this stage, also fought and was wounded at the Battle of Gettysburg. 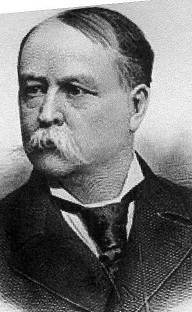 After the war, he got involved with the railroad industry and rose to become President of the West Jersey Railroad in 1899. He got involved with New Jersey politics and was elected to the State Senate in 1872 until 1881. He was later elected to the United States Senate as a Republican and served until 1887 where he enjoyed considerable influence in Washington because of his close friendship with President Benjamin Harrison. Both regularly took fishing and hunting trips together. He died on the December 27th 1901 aged sixty six and received full Military Honours. He left behind a wife and four children and is believed to have returned to Mayo at least once, in 1899, where he went to Ballina (the family had spent some time there after his birth) and had stained glass windows commissioned and dedicated to some members of his family. A small town in New Jersey, Sewell is named after General Sewell and he is remembered by American school children as a fearless and courageous soldier for his exploits during the US Civil War. Mayo's Transatlantic Connectivity Recognised by American Professors. Peace Park Event, Christmas Eve. Passed By for 89 Years!